According to the minister, around 100 factories will receive grapes from village farmers and each farmer’s harvest will be purchased. “The government is in total readiness to conduct an organized and trouble-free harvest,” Danelia said. 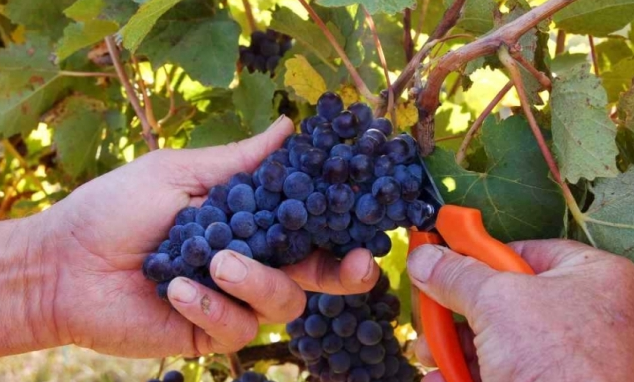 Moreover, the minister stated that the preferential agro-credit project will continue for those wine and alcoholic beverage companies which promote a production increase. The maximum amount of agro-credit is 10 million GEL and the maximum period of loan is 15 months. The coordination of Vintage 2016 is led by Giorgi Samanishvili, who said at the opening that subsidies will be given directly to the viticulturists, not to winemakers, just as they were last year. After delivering the grapes to the factories, the village farmers will receive their money within 15 working days by presenting their ID cards. The head of the National Wine Agency said the coordination of Vintage 2016 will be situated in Telavi, hotel 'Alazani Valley,' and its staff will work 24/24 to ensure active communication between state departments, industrialists and viticulturists. Vintage 2016 started in Dedoplistskaro, Kakheti region, on Wednesday. So far, 1.3 thousand tons of grapes have been picked and delivered to two factories located in the region. This year, Kakheti region is expected to have 200 thousand tons in grape harvest.